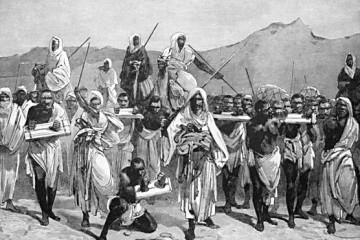 For months now, hoteps have been warning others of this trojan horse called Shaun King. Somehow, we let a mole inside our house. We must demand receipts! The fact that this guy hasn’t been outed yet, proves just how gullible and desperate for leaders the black community is. Below are some details you might want to look into. Two charities that prominent Black Lives Matter activist Shaun King has claimed to have created and has touted publicly were never officially formed, The Daily Caller has learned. 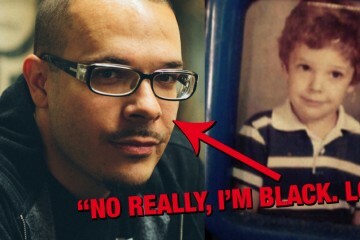 Shaun King DNA test coming soon? But an extensive search of state nonprofit registration records, IRS records, and other databases returns no documentation showing that either of those entities were formally created. And in an interview with The Daily Caller last week, King’s co-founder at Upfront Media Group, Ray Lee, made the surprise admission that despite King’s claims, the Upfront Foundation has never existed. The findings add to questions raised earlier this month after the former pastor announced that he would be scaling back his latest project, Justice Together. King, who recently penned a column calling David Clarke, the black sheriff of Milwaukee County, an “Uncle Tom,” launched Justice Together in June. With high-profile board members such as journalist Glenn Greenwald, actress Gabrielle Union and Black Lives Matter activist Deray McKesson, King drew in volunteers and donors to help create a 50-state coalition to fight police brutality. But as a self-imposed Nov. 4 deadline loomed for the release of a preliminary report on the group’s work, volunteers began to voice concerns internally and on social media about King’s managerial style. Complainants claimed that King was ignoring the project and that he refused to disclose information about donations and spending. As frustration grew, Justice Together’s Massachusetts chapter was disbanded. Its internal messaging system was also shut down, thus erasing all records and communications between volunteers. It wasn’t until two days after the deadline for the preliminary report came and went that King finally updated volunteers on the project’s status. He announced that it was being scaled back from 50 state chapters to just one in Georgia, where King has a residence. The high-profile McKesson also resigned his position on the group’s board of directors. A list of Justice Together’s other directors was also removed from its website. King’s handling of Justice Together was deja vu for some activists who had volunteered for Justice That’s All a year ago. As with Justice Together, King also shut it down with little notice. Its internal messaging system was also closed down, and correspondence and work product created by volunteers was lost. But volunteers and donors on Justice That’s All made even more serious allegations about King’s work on the forerunner to Justice Together. One activist published an email in which King claimed that the donations to Justice That’s All would be used to pay for its registration as a 501(c)(3) organization with the IRS. But a search of the IRS’ database shows that no organization named Justice That’s All has been registered with the agency. There are also no records in either Georgia or California, where King has an address, showing that Justice That’s All was ever registered as a nonprofit organization. Most states require charities to register before they can accept donations. In contrast, King did register Justice Together in Georgia, as documents filed with the state’s secretary of state show. Though it is unclear just how much money either Justice Together or Justice That’s All raised, an archive of the latter’s webpage, which has been shut down, does show that King had raised $2,116 from 125 donors shortly after it was founded. The group likely received far more donations as indicated by the numerous other volunteers and donors who complained on social media that even after Justice That’s All disbanded, monthly donations continued to be drawn out of their bank accounts. King’s disgruntled volunteers and donors have offered several theories for why his charities have failed. Some claim that he is perpetuating old-fashioned scams. King’s lack of financial transparency and his alleged habit of chastising and blocking those who ask questions about donations and spending have bolstered the theory. Others suggest that King’s charities have failed because he cares less about producing results and more about padding his resume while developing his social media following. Others are more charitable. They claim that King merely has bad managerial and organizational skills — an explanation that King himself adopted in announcing Justice Together’s downsizing. But that theory does not explain King’s statements about a charity started in conjunction with Upfront Media Group, a company headquartered in New York City that he co-founded in 2012 with Ray Lee, a former ad executive. A subscription-based service, Upfront offers platforms for celebrities and other influencers to connect directly with their most loyal fans. And as is common for companies that partner with celebrities, Upfront advertised itself as a socially-responsible corporation that would donate some of its revenue to its own nonprofit foundation, Upfront Foundation. “It’s very much a social engagement platform in that sense, but a percentage of every transaction that we have, which we’re really proud of, will go to a new foundation that we’ve started called the Upfront Foundation,” King told the Christian Post in April 2013. “It was important to us to incorporate a significant way to give back so a percentage of every transaction completed on Upfront will go to the newly formed Upfront Foundation to support the causes that matter most to our influencers, fans, and staff,” he said in a press release published the next month. But there’s one glaring problem with King’s claim: the Upfront Foundation was never created. Reached by phone last week, Lee confirmed this. He initially told TheDC during a phone interview that a nonprofit foundation associated with Upfront did exist. But after that interview concluded, he phoned back minutes later to say that he had been confused by questions about a foundation and that the Upfront Foundation had never actually been formed. “It was something that was discussed internally, but it was never established,” Lee said. He offered no explanation for why King suggested that the company had started a foundation or why it was featured prominently on the company’s website. After speaking to TheDC, the website was scrubbed of any reference to the Upfront Foundation. An archived version of the website does show the reference, however. Lee also said he has not talked to King in two years. And asked whether King left the company on good terms — the pastor-activist has said he sold his stake for $125,000 — Lee declined to comment. Though King has become highly influential within the past year — before taking a job with the Daily News he covered police brutality and criminal justice reform for the left-wing Daily Kos — he first gained national attention for his work on a charity he founded in the aftermath of the Jan. 2010 earthquake in Haiti. But that project, too, has come under scrutiny. King created an organization called A Home In Haiti to help provide relief to Haitians following the devastating earthquake there. News articles show that King was raising money for the project by Feb. 2010. But records filed with the Georgia secretary of state show that it was not formally incorporated until six months later, in Aug. 2010. Records also show that in 2011, King and other A Home In Haiti executives filed paperwork to change the group’s name to Hopemob. Modeled after websites like Kickstarter and GoFundMe, Hopemob allowed users to raise money for personal causes. But not all Hopemob users were pleased with their experience with the organization, which King touted relentlessly on social media. Three customers who started fundraisers shortly before King left the company in 2014 told TheDC that they struggled to obtain the money they had raised. All eventually obtained the funds, but only after King had left the organization. Sheridan Richards began raising money on Hopemob for a youth group she was working for in Feb. 2014. She said that it took three or four months to receive money raised in the campaign. “They told me they were under new management/ownership and had fallen behind,” she told TheDC. Shaun Delmar also had trouble obtaining funds raised on the Hopemob site for his young nephew, who had just lost his father. Delmar and numerous friends contacted Hopemob after the organization failed to release donations after the April 2014 fundraiser ended. “We did receive the funds, but not without a fight,” Delmar told TheDC. “We had roughly a dozen people calling them out via many avenues of social media, emailing the CEO, calling, etc. Finally, the money was released when we contacted the CEO directly,” Delmar continued, referring to King. King announced that he was leaving Hopemob in May 2014. Patricia Heinz also struggled to obtain the money she began raising in Feb. 2014 to help her husband, who had recently been diagnosed with spina bifida. She said that she eventually received the donations, but “it was quite the ordeal.” She said that she was told that a contact email she was given for Hopemob no longer worked. After reaching out to other email addresses, and on Twitter and Facebook, she finally got in touch with an employee through Twitter who helped her obtain the funds two months after the fundraiser ended. Hopemob’s 2013 IRS filing, the only one of any of King’s charities that is publicly available, shows that King was paid $160,000 as executive director of the organization. That was out of $420,000 in revenue that the charity took in. The group’s tax form also disclosed that it made 136 cash grants totaling $198,787. It is unclear if those grants constitute all of the money raised for Hopemob fundraisers or if they were grants that the organization distributed on its own. Upon announcing Justice Together’s “course correction,” King dismissed accusations that he has withheld donation information. He claimed that those making the claims were “lying.” He also committed to filing Justice Together’s taxes next year. King did not respond to emails seeking comment. Last September, at around the time he was running Justice That’s All, he did pen a response to many who had accused him running fraudulent charities. He did not refer to Justice That’s All or Upfront Foundation in that missive. TheDC has documented other King inconsistencies that he has strongly denied. In a book he recently published and in numerous interviews, King has claimed that a group of racist white students attacked him while he was a high school student in Kentucky in 1995. 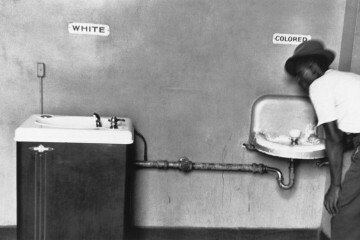 But TheDC found that a police report made no reference to a racial motivation for a fight that did leave King injured. But a detective reported that King was beat up by only one student who was upset with him about a girl.